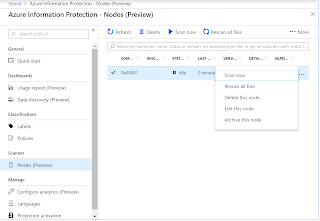 Microsoft is enrolling new Azure Information Protection features and a new AIP scanner UI including status of the scanner machine and some statistics like scan rate, version etc. This new scanner UI feature will include the capability to start the scan on the remote scanner without a need to login to the scanner machine. 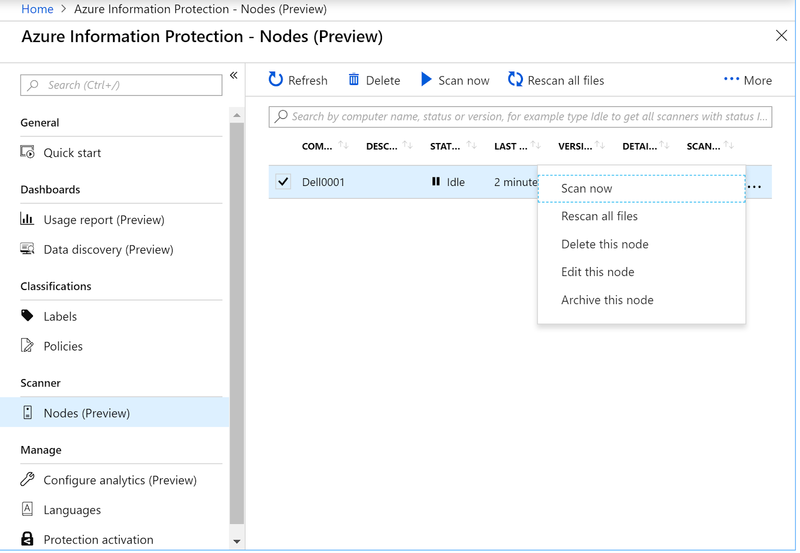 Latest GA or public preview version of AIP Client is needed in order to see your scanner machines connected to the Azure portal and be able to manage them. 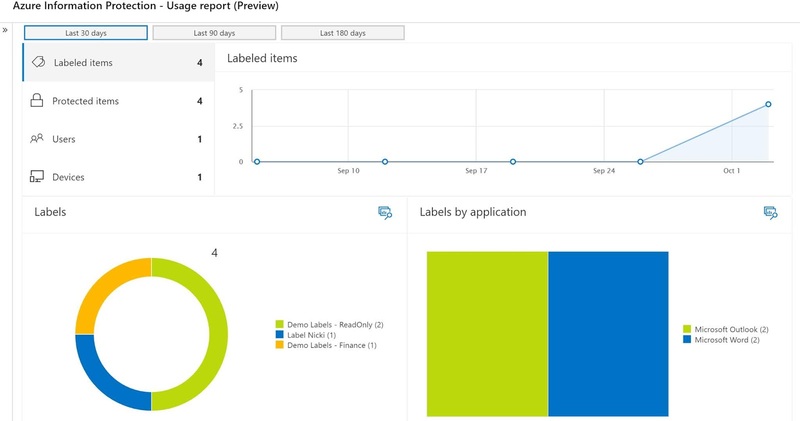 AIP Usage report is showing labels, protected item count and users & computers who are interacting with AIP. We will also get an overview about used labels and about used clients to label content. labeled and protected files etc. 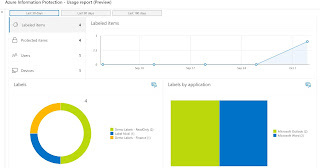 Usage Report and Data Discovery are based on Azure Log Analytics. Microsoft is investing a lot in security & compliance. 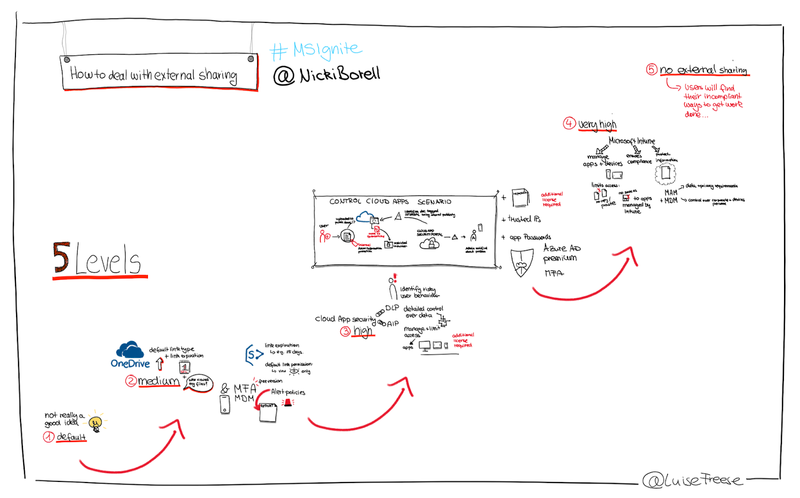 At the end it is a complex story to figure out which feature and which license is needed to fulfill your security & compliance needs. “A quick guide to secure Office 365” is a Whitepaper based on simple tiers like Default, Medium, High and Very High. The matrix shows the usability impact and the needed licenses to setup the different scenarios. You get a clear overview about the options and the impact of each scenario. 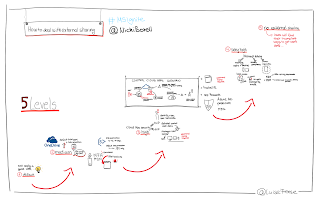 In addition, the Whitepaper gives you an overview of Microsoft technologies and features to secure your Office 365 tenant. Covered technologies are Office 365 Secure Score, Cloud App Security, Intune & Office 365 MDM, Azure AD Premium features, Office 365 Advanced Threat Protection & Office 365 Threat Intelligence and the Security & Compliance Reports.